family break the bonds of poverty and transform their lives. 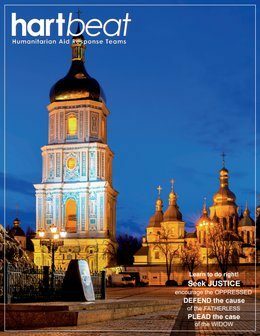 Children in Ukraine and Moldova need your help: UN statistics inform us that up to 78% of people in Ukraine and Moldova are living in poverty. Ukraine is the largest country within Europe and is home to 45 million people. Ukraine’s economy declined severely in the years following the dissolution of the Soviet Union. Day-to-day life for the average person living in Ukraine is a struggle. A significant number of citizens in rural Ukraine survive by growing their own food. Many in the cities often work more than one job. The average monthly salary is US $140. The current war in Eastern Ukraine has put an even bigger strain on an already poor economy. 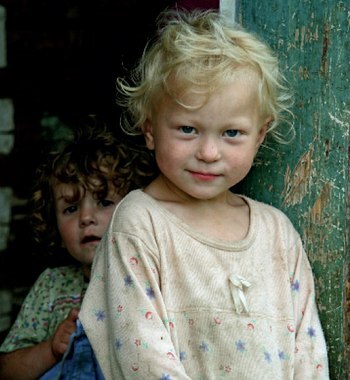 Corruption, unemployment, despair, and hopelessness are constant companions of Ukrainian people. An amazing adventure for you and your family as you help change the life of one child! You can change the life of a child. You can give a child a different destiny, from hopelessness to hope! God can use you to change the life of a child! Sponsoring a child is a wonderful way to touch a child with the love of Christ. 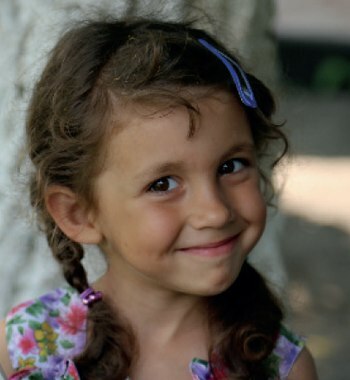 As a child sponsor through HART, you make it possible for dedicated Christians in Ukraine to work with your sponsored child and their family. 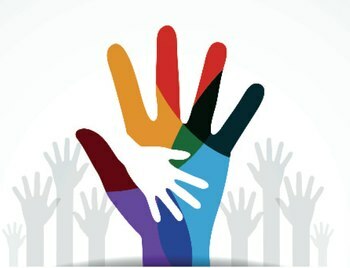 You become a partner in making a difference that really counts; a difference that builds hope for the future. When you sponsor a child, you begin a partnership with his or her family that will radically change their lives! Best of all YOU get to choose a child or alternatively, we can choose one for you if you so desire. You determine your payment method – monthly or annually, by automatic bank withdrawal or credit card ($35/month or $420/year). You will receive an information package including the child’s story and a picture within two weeks. You will have the opportunity to write to your child. You will receive an annual update as well as two letters/year from your child. You will make a difference in the life of a child. Yes! Sponsorship provides for children both physically and spiritually. The children feel God’s love and know that someone outside of their family cares for them. Sponsored children display significantly lower levels of hopelessness, higher levels of optimism and self-efficacy, and higher levels of overall happiness. Source: Christianity Today Wydick, Bruce. “Want to Change the World? Sponsor a Child.”ChristianityToday.com. N.p., 14 June 2014. Web. 08 Apr. 2014. You may discontinue at any time, although we would encourage you to commit to this project for at least one year. How does HART help children with an education? HART has an Education Fund designed to assist Sponsored Children to receive post-secondary schooling or vocational training. In most cases, this entails a joint venture between the sponsor and HART. As sponsors develop a relationship with their child they may learn of a child’s desire to continue his/her education. In these cases, sponsors have the option to contribute toward the costs for the future education of their child. Please keep in mind this is not a mandatory part of our Sponsorship program. It is only for those that have the means and the desire to assist their child after they have “graduated” from this program. May I write my child? Yes. We encourage communication with your sponsored child. Children need to know they’re important and as a sponsor, you can instill a sense of self-worth in your child through letters and cards. It is also very important for the Church & caseworker who work with your child and his/her family. Caseworkers continually remind us that parents seem to be more cooperative when Sponsors are writing their children. 1. The BEST option is to go on the Child Sponsor page and click on “WRITE YOUR CHILD NOW.” You can write a letter from there, even upload a picture of yourself or your family and send immediately. 2. Second BEST option is to send an email to your child. Email your letter to cspletters@hart.ca. Write your sponsored child today! You may also attach digital photographs in the email to be forwarded along. 3. For handwritten letters or cards, please send your letter to our office for translation and forwarding to your child. Please ensure your child’s name and ID number are written clearly on the outside of the envelope. It may take several months to receive a response letter from your child, but we do our best to ensure quick & efficient delivery. Receiving a letter or postcard from you is very special for your child. It is a reminder that you care about them. It is those words of encouragement that give them hope. What should I write to my child? Writing to your sponsor child is a great way to get to know your child’s interests and needs. It is a phenomenal way to show a child that they are loved and thought of. We encourage all of our sponsors to send letters to their children. Go to the Child Sponsor page and click on “WRITE YOU CHILD NOW” to find many creative ideas to assist you in writing to your child. Do children have to be a part of the church to be included in the CSP? HART helps children of all faiths. We do not choose or decline children or families based on their religious choices. Our goal is to help the neediest children. HART’s Child Sponsorship Program is administered through the local church whose goal is to meet the needs of their area’s poorest children. Children are encouraged to attend Bible studies but not required to. Will I always have the same child? Usually, sponsors grow attached to their children and enjoy the relationship built over time. However, on occasion, there are circumstances in which the sponsorship could be discontinued. 1. For example: when the child ages-out of the program. This usually occurs between the ages of 16-18. The child may leave for college, vocational training or a job opportunity, so the sponsorship would end at that point. 3. The family moves out of their child sponsorship district and is no longer accessible to the caseworker. If they move to an area where we have another child sponsorship caseworker, the child will be transferred and your sponsorship continues. If one of these situations happens, we will contact you with the details and include information and give you the option to sponsor a new child if you so desire. What percent of my money goes to overhead/administration costs? All other money goes directly into programs for assisting your sponsor child through food packages, birthday presents and more.